The research by the International Television Research Group (inTV) and GlobalWebIndex compared viewers of international TV channels (e.g. 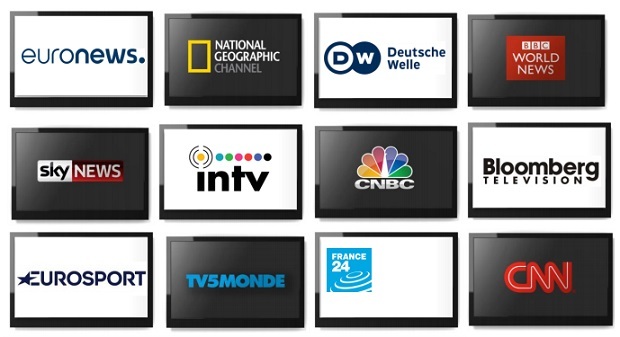 BBC News, Bloomberg Television, CNBC, CNN, Euronews, Eurosport, Sky News and more) with non-viewers, exploring everything from their self-perceptions and lifestyles to device ownership and advertising receptiveness. The characteristics and attitudes of frequent viewers of international TV are not dependent on income. Frequent viewers display similar behaviours irrespective of income and look very different to non-viewers. Frequent viewers of international TV channels are a driven, more career-orientated and aspirational audience, with 65% saying they’re career orientated compared to 36% of non-viewers - falling into the ‘Aspirational’ segment which encompasses those who think money is a good measure of success. Frequent viewers are twice as likely as non-viewers to buy the products they see advertised, irrespective of income. All frequent viewers are considerably more likely to value premium brands than non-viewers, with 60% of affluent frequent viewers and 45% of those outside the top income segment tending to buy the premium version of a product, compared to 40% for the wealthiest non-viewers. of international TV are not dependent on income – suggesting that the desire to watch international TV is driven by a state of mind rather than income levels alone as previously thought. Frequent viewers display similar behaviours irrespective of income and look very different to non-viewers. The study compared frequent viewers* of international TV channels (BBC News, Bloomberg Television, CNBC, CNN, Euronews, Eurosport, France 24, National Geographic Channel, Sky News and TV5Monde) with non-viewers across a wide range of data points, exploring everything from their self-perceptions and lifestyles to device ownership and advertising receptiveness. They are more career-orientated and aspirational: Frequent viewers of international TV channels are a driven audience, with 65% saying they’re career orientated compared to 36% of non-viewers. They are significantly more likely to fall into the ‘Aspirational’ segment which encompasses those who think money is a good measure of success and who push themselves to be the best they can in life. Frequent viewers are more receptive to advertising: Advertising receptiveness is associated with viewing frequency, rather than consumer affluence. Frequent viewers are twice as likely as non-viewers to buy the products they see advertised, irrespective of income. They are brand conscious and buy premium: All frequent viewers are considerably more likely to value premium brands than non-viewers, with 60% of affluent frequent viewers and 45% of those outside the top income segment tending to buy the premium version of a product, compared to 40% for the wealthiest non-viewers. Both the top 10% income group for frequent viewers and those outside the most affluent group are significantly more likely to be brand conscious and are also much more likely to own the latest technology, such as smart TVs and smartwatches. Frequent viewers are more engaged with all media, especially social: As well as TV, frequent viewers consume more social media, radio, music streaming, online TV, online press and print than their non-viewer counterparts. What’s particularly interesting for advertisers is that frequent viewers are more purpose-driven when they engage with media channels – for example, they are less likely than non-viewers to simply log into Facebook without posting or commenting; they are active participators. *Frequent viewers are defined as internet users aged 16-64 who watch any of the international TV channels at least twice a week.